Numancia picked up a valuable draw at Los Cármenes on Sunday morning, in a game that brought them face to face with the division leaders, Granada C.F. The hosts were held in check throughout the match by the Sorianos, who put in a good shift and remained disciplined to the end. López Garai’s side did not dominate possession and were forced into offering stout rear-guard action for long spells of the game, but they did so in an orderly fashion, and functioned as a unit throughout. López Garai fielded the same side that had beaten Tenerife so convincingly the previous week, keeping Escassi in the middle of the defence and positioning Kako as a holding midfielder. The rest were all the same players that had performed so well against the Canary Islanders at Los Pajaritos. The first threat from Numancia came in the 17th minute, when a ball recuperated by Escassi in midfield fell to Fran Villalba who advanced towards the hosts’ area and laid it off to Guillermo, whose shot was easily saved by the Granada goalkeeper. It was Guillermo who had the next attempt as well, but his effort from the edge of the box was also stopped with no problems by Rui Silva. Close on half time, the Sorianos won another ball in midfield, it was pushed into the space ahead of Yeboah, on the right wing and his centre for Guillermo was intercepted by a Granada defender who put it out for a corner. A threat that nothing came of. At the other end, Germán threatened with a headed effort, but it went wide. The first half came to an end with suspense. Granada took a free kick, deep into stoppage time, and Rodri headed into the net, clearly in an offside position. The linesman had seen it and the flag went up immediately. The whistle went straight after that and the teams went in to the dressing rooms with the game still scoreless. The encounter continued to be evenly balanced in the second half, although Numancia were obliged to dig in as Granada went on to the offensive. The hosts brought on fresh legs up front early on, and the Rojillos, playing in yellow this time around, had to batten down the hatches and look to get something on the break. In the 70th minute, the Sorianos went down to ten men. Yeboah earned a second yellow card and was sent off by Iglesias Villanueva. Now it was a question of rolling up the sleeves and working even harder. Kako was replaced by Carlos Gutiérrez, Escassi moved into the pivot position, and shortly afterwards Jordi Sánchez came on for the exhausted Guillermo. Ten minutes were left to go, and Granada went in search of the goal that would earn them all three points, but Numancia faced the onslaught in an orderly, sober fashion. The crosses Granada pumped in from the wings were well defended, attacks through the middle were well blocked, and Jordi Sánchez, on his birthday, harried the home defenders enough to take some of the pressure off his own, and help contain the threat. Without doubt this was a very hard-earned point, with the added merit that it was picked up away from home, against one of the stronger teams in the division and the performance will help Numancia to continue growing. Granada C.F. : Rui Silva, Alex Martínez, Martínez, Germán, Vadillo, Fede S., Pozo (Antonio Puertas, m. 62), Rodri (Adrián Ramos, m. 52), F. Vico, Nico Aguirre (José Antonio, m. 76) and Víctor Díaz. C.D. 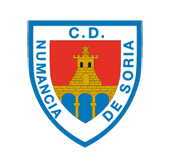 Numancia: Juan Carlos, Kako (C. Gutiérrez, m. 73), Escassi, Yeboah, Alain, Atienza, Guillermo (Jordi Sánchez, m, 81), M. Mateu, Markel, F. Villalba and Diamanka. Referee: Iglesias Villanueva (Galician Committee). Assisted by Ramos Ferreirós and Blanco Rodríguez. Yeloow cards for Nico Aguirre, Granada and for the Numancia players Jordi Sánchez, Kako, Diamanka, Pichu Atienza and Yeboah, twice, for which he was sent off in the 70th minute. At the end of the match there was a brawl involving players and coaching staff from both teams, which Iglesias Villanueva resolved by sending off both managers.